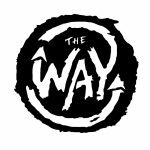 At The Way we believe God has given us the mission of leading high school and Jr. High students to a maturing faith, knowledge, and love of Jesus through the gospel, resulting in a gospel community on mission to the campuses, community and cities in which we are a part. We get together weekly to fellowship, play games, worship, study the Word of God, and pray for one another. This is a time for high school students to spend some time with one another and with the Lord to learn more about living out their faith in the crazy world today. Come join us at 6:00pm every Thursday. We enter through the double glass doors on Coral St. See you there!